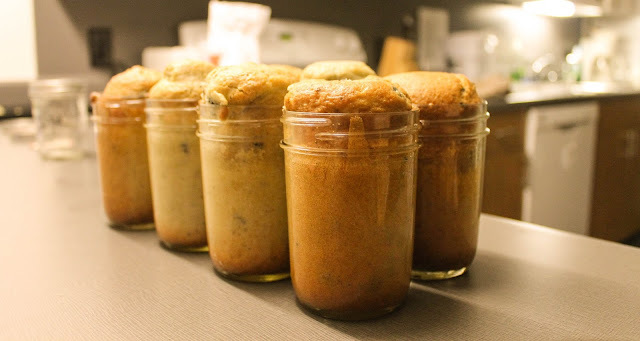 As you may or may not already know, I have a mild addiction to blueberry muffins, and so it was only going to take so long before I tried making one in a mason jar! I topped it up with strawberry yoghurt, and actually had it on the side while eating the muffin. It was so good, you'd just have to try it for yourself! Now, on to the recipe. 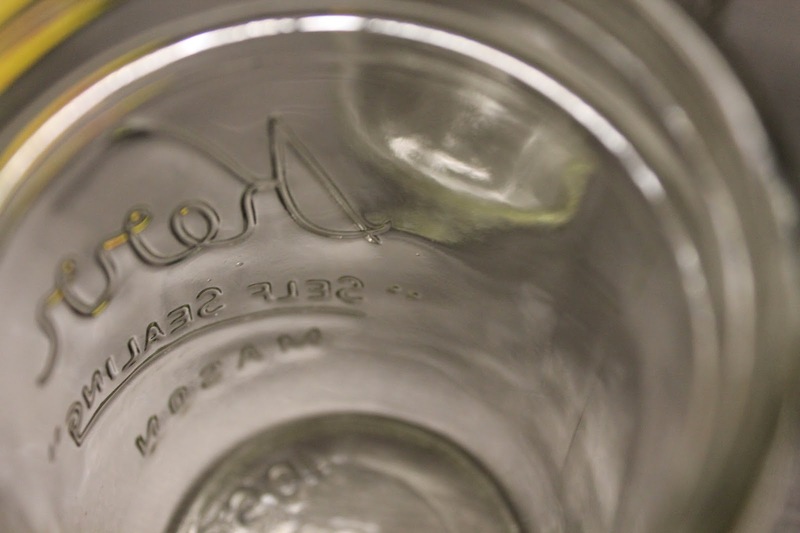 Grease mason jars with butter or oil. Rinse and drain blueberries thoroughly with cold water. Empty the muffin mix to the bowl. 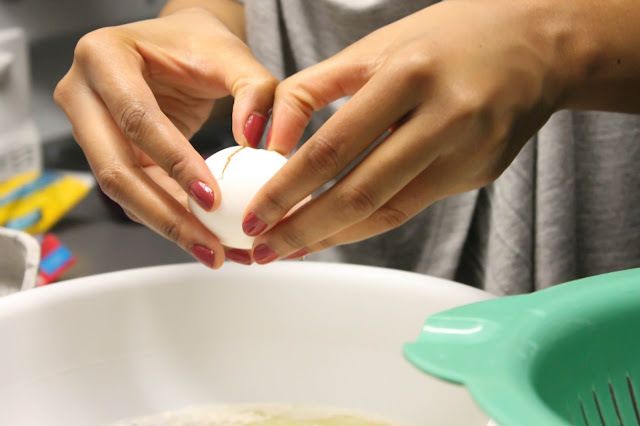 Stir in the eggs, water and oil, and mix, mix, mix(until moistened)! Fold rinsed and drained blueberries gently into the batter. 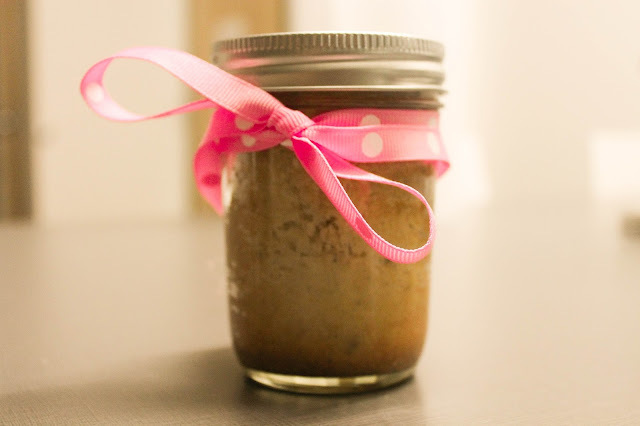 Spoon the batter into the mason jars, fill 2/3 of the jar. Place the mason jars in a baking pan, and place the pan in the center of the oven. Bake for 20 minutes or more, until golden brown. (Dip in toothpick/fork, if it comes out dry, then you're all set). 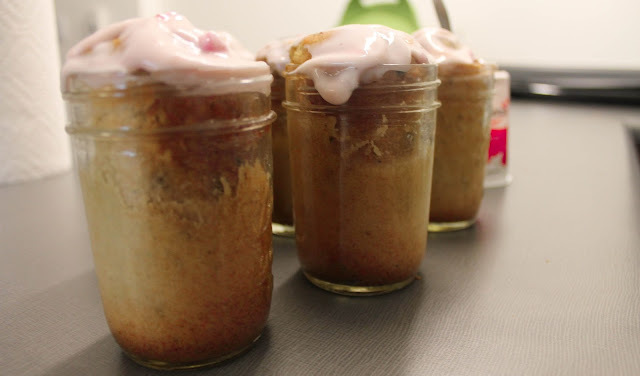 Spread strawberry yoghurt over the top of the mason jars. And you're all done. Call it an Instagram moment, haha. Thank you so much Carrieanna! 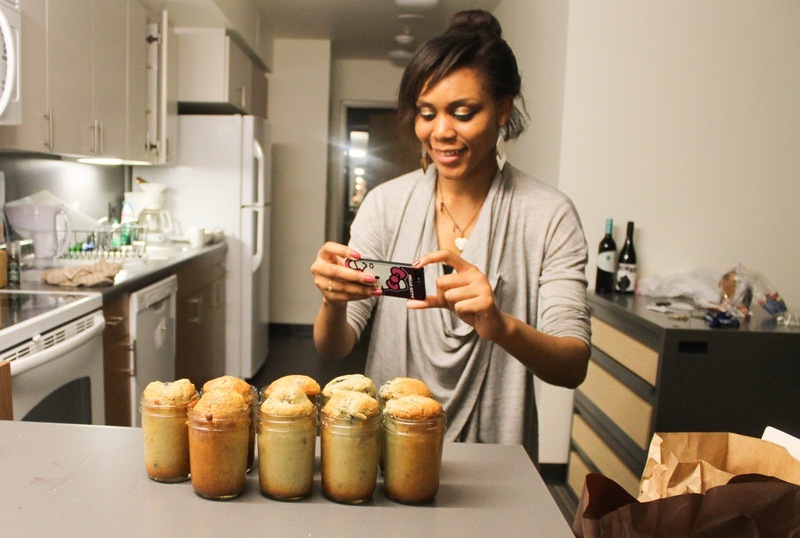 Never seen muffins in jars!Love the idea.What's your Instagram handle, I would love to follow you.